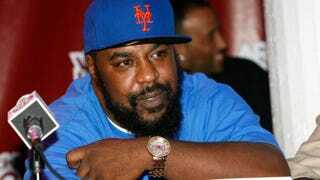 The hip-hop world woke up this morning to news of the death of rapper Sean Price. According to reports, Price, 43, died this morning in his sleep of unknown causes in Brooklyn, N.Y.
Price, who is famously known as one-half of hip-hop group Heltah Skeltah, performed under the umbrella of the Boot Camp Clik. On a personal note, I remember Heltah Skeltah performing at my high school in New Jersey at a show sponsored by Hot 97. The energy that Price had onstage was contagious, and it was also my first hip-hop show. And I’ll never forget it. “I control the masses, with metaphors that's massive” … #RIPSeanPrice.